Finding out whether a Forex broker is regulated is pretty much straightforward. First, you need to determine the country in which the broker you are considering is situated. This information can usually be found in the broker’s website. After finding that out, check with the regulator in that country whether the broker is actually registered with them. Using this information, you can also get some insight into the past performance of the Forex broker you’re looking at. Now, it’s important that you don’t mistake “licensed” as the same with being registered with a regulatory body. A licensing body may have some administrative functions but it doesn’t provide security as much as a regulator. It has little power to arbitrate any trader-broker dispute that you may encounter over the course of your Forex trading venture. 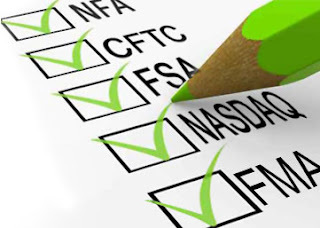 Why You Should Choose a Regulated Forex Broker? Regulated Forex brokers in Australia will ensures credibility because it’s required to provide fiscal reports to regulatory bodies. By doing business with this type of broker, you eliminate the likelihood of getting ripped off or encountering any other underhanded transactions.